I was talking to some running friends the other day when one of them brought up the subject of music. I hadn’t realized how divided the running community is over music; nearly every runner I know goes out with an mp3 player and upbeat playlist. Nevertheless, one friend’s adamant opinion that music absolutely ruins the running experience provided excellent fodder for rumination. 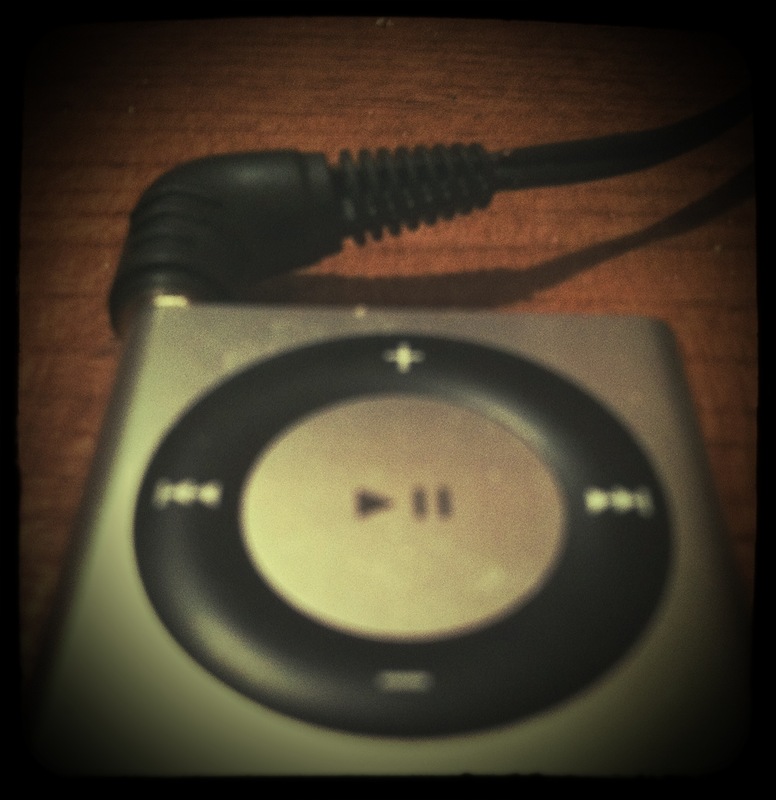 Right at the start, I’ll admit to favoring music; I run more with it than without it. Nevertheless, running purists make several valid points. First, music creates risk. How often do we become “lost in the music” and fail to heed our surroundings? Distraction can be both dangerous and deadly; every runner knows this. Most pro-music runners would say “That can’t happen to me!”, but like the cautious new driver that turns into the reckless “experienced” driver, humans rely on routine. We grow familiar with our route and the world it inhabits and become complacent. Distraction and complacency are anathemas to safety; this is a special concern at intersections: drivers aren’t always looking for runners (or cyclists for that matter), and no runner wants a detour through the emergency room. Second, music distracts from thinking. My blog is centered around my running thoughts, so this argument may have more credence with me than with others. As a society, we’ve become so used to being connected – and distracted – that we simply can’t spend time with ourselves. When running is an escape, why insist on running with the flavor-of-the-week teeny-bopper? When running is supposed to relieve stress, why bring the caustic talk radio host? I’ve heard the claims that music helps people think, but it is more accurate to say that music directs our thoughts. Do we really want the Top 40 or another political talking head to dictate what we think about? Running should be refreshing a relaxing; Justin Bieber and Rush Limbaugh are neither. Finally, music can negate the camaraderie of running. Personally, I find this argument the least defensible since it assumes most runners belong to clubs or attend many events throughout the year. Although I am not this type of runner, I understand the sentiment. Meeting new people, learning about other parts of the world, giving and receiving tips and tricks – all of these are a part of the running experience. With earbuds planted firmly in our heads, we tend to ignore others and miss wonderful, once-in-a-lifetime opportunities. In contrast, there are very few arguments in support of music. One valid argument is that the beats per minute (BPM) of a song can help improve one’s pace. I’ve tested this theory over the last several months by running to music with 152 BPM, and my personal pace has improved roughly 13%. I don’t know how scientific the argument is; I imagine that, like most running aids, it depends on the individual. Personally, I think most pro-music runners’ opinions are based on preference rather than any perceived benefit. In addition to being uncomfortable with our own company, we (as a society in general) don’t like to be told what we can’t do. People everywhere, and Americans in particular, value their rights, and I think pro-music runners view their headphones as a personal freedom. Such runners see any attack on their music as an attack on them. There are even some extremists who will skip an event – even one already paid for – if headphones aren’t permitted. In my opinion, this kind of reasoning shows misplaced priorities. We don’t go to the movies to hear the soundtrack, so why treat running any different? Sometimes life is best enjoyed in the raw. Remember there are times when it simply isn’t smart to run with an mp3 player, such as when visibility is low or when running unfamiliar terrain. Just because you can do something doesn’t mean you should. Speaking of which . . . There are also times when you shouldn’t run with music, particularly when it’s prohibited. If you’ve entered such an event, then train without the iPod. Trust me, doing so will make race day easier. Be excellent to one another. Coexist. Get along. Purists, we’re all out there for the same reason, so don’t get bent out of shape when others don’t share your opinion. Music lovers, if you’re running with friends but absolutely need your tunes, try running with one earbud in – and remember to keep the volume low. You’ll still get your beat, but you’ll also enjoy running with a companion, and not everyone has that opportunity. Share the road. So, what will I do now? Unplug more – not totally – and get back to running for running’s sake. What you do is up to you. Until next time, get out there and enjoy the run! By the time I was born there were no names left to give out. Grandparents, great-grandparents, and even a great uncle had all been recognized. Charles, Leroy, Christopher, Lehman, John, and Glenn had all been used, and – given the rather unimaginative naming process of my forbears – there was simply no other family name to pass on. Only my sister had a totally unique name, since my parents realized that any child named Gertrude or Marillda in the late 70s and early 80s would be teased relentlessly. Family legend says that my father wanted to name me Hey You, but my mother put an end to that idea rather quickly. What is certain is that they wanted a name no-one could shorten. People tried to call my brothers Chuck, Roy, and Chris. For a time, even m y sister was “Abe” because of her initials. Therefore, I was given the name of a letter of the alphabet: Jay. Nevertheless, I have to wonder: if my parents wanted a name that no-one could shorten, why did they name me Jay Peter? That’s just asking for people to call me J.P. You’d think that their experiences with my sister would have proven that. Because I love history and politics, at times I’ve claimed to be named for John Jay. For years I was “J.P.” (a name I despise), so I could claim John Pierpont Morgan. Gatsby is a college dropout who falls in with a copper tycoon. Cheated out of money, Gatsby enlists in World War I, where he is decorated for valor. He then finishes his college degree; while studying, he learns that his love interest, Daisy Fay, has married the aristocratic Tom Buchanan. Gatsby determines to win her back by becoming a man of wealth and status. Gatsby returns to an America in the midst of Prohibition, where he is able to make a fortune from bootlegging. Gatsby uses his wealth to buy a mansion and attempts to attract Daisy by hosting extravagant, weekend-long parties; eventually he succeeds in convincing Daisy to leave Tom, who is cheating on her. 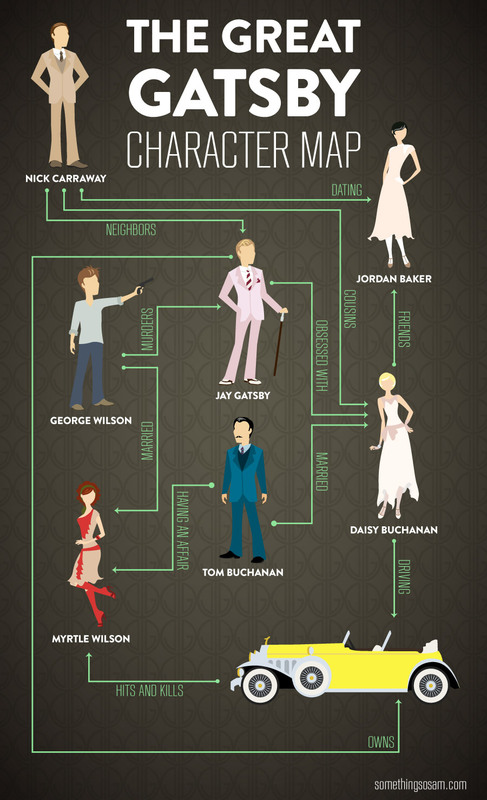 Through a series of unfortunate events, Daisy kills Tom’s lover, Myrtle, with Gatsby’s car. In a rage, Tom tells Myrtle’s husband, George, where he can find the car that killed his wife. George tracks down the car, shoots Gatsby, and then kills himself. Despite his wealth and relative popularity, only two people attend Gatsby’s funeral. If all of that is too confusing, check out this excellent infographic. But what do you think? Who should I be named after? This post was written in response to the Daily Prompt: Say Your Name. Today is Memorial Day, and, although they are similar, Memorial Day is not Veterans Day. On Memorial Day, we remember those who have died in the service of their country, either in battle or as a result of battle. On Veterans Day, we honor former military personnel, wether they served in war or in peace. In general, Veterans Day is supposed to recognize living veterans for their courage and sacrifice; it is on this day we assure our veterans that they are not forgotten. Memorial Day was first observed on May 28, 1868. At that time it was called Decoration Day, and was set aside to specifically honor those who served on both sides of the American Civil War. This tradition continued until World War I, when it expanded to include all those killed in American wars. Twenty years later, an act of Congress made November 11 a federal holiday called Armistice Day. Just as Decoration Day was to honor Civil War veterans, Armistice Day was to honor World War I veterans. This tradition continued until 1954, when the word Armistice was changed to Veterans in order to include all American veterans. 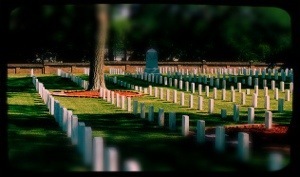 So remember: Memorial Day honors the dead; Veterans Day honors the living. And never forget to thank a vet. While Twitter has become a wildly popular new means of communication, it has not been without its critics. Questions like, “What can we say that is meaningful in 140 characters?” and “What are we losing by keeping our social interactions so brief?” have abounded since Twitter’s inception. The value of brevity, however, is not a new concept. In the late 19th and early 20th century, one of the most efficient ways to transmit important information rapidly over great distances was the telegram. My daily runs are normally used to relieve stress. Sometimes I recite poetry (in my head) or reflect on a particular quote. Other times I ruminate on something I heard or read. And sometimes all those things go out the window and I end up focusing on something I regret. Today was one of those days. I took violin lessons for ten years. For an entire decade, my mother drove me half an hour every week for an half-hour lesson, paying in both time and money for a musical education that I didn’t always appreciate. I wish now that I had practiced more, and done more. College called and I didn’t make time for practice. My status as a history major meant that I was second fiddle to the music majors and had to receive special permission to use the practice rooms. Therefore, I did what any self-respecting college freshman on his own for the first time would do: nothing. I never pursued the forms needed in order to keep up my talent. I wish now that I had. 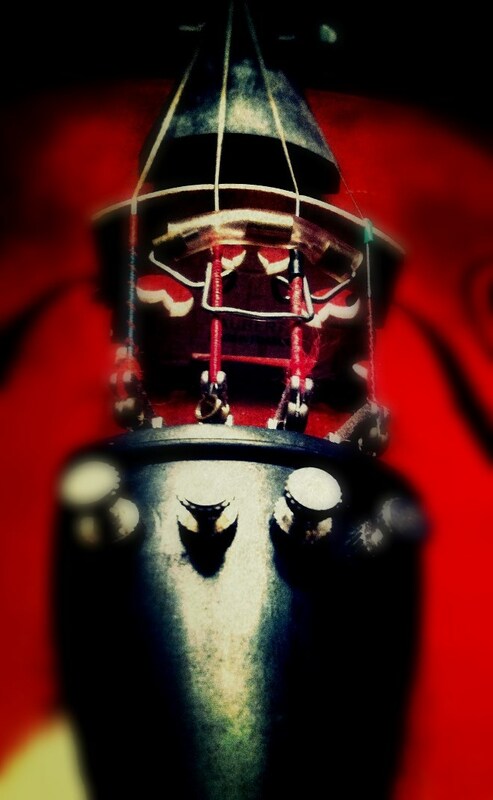 It has now been nine years since I last devoted any serious time to the violin. I have tried to play on several occasions: special music for church, accompanying our school choir on some chorale pieces, and a short-lived attempt what folks here in N.C. call a “gospel sing” (they wanted country fiddle, I played classical violin, and that was that). But now I wish I had done more. My wife finally has her piano in our house, and she’s picking up right where she left off. My cousin – who could be a legitimate contender for a Julliard scholarship – has been spending quite a bit of time putting together arrangements for 4 hands and violin. They want to play Les Miserables and Phantom of the Opera and Lord of the Rings. But I can’t play like I used to, and I know it. Ignoring the problem won’t solve anything. I haven’t even opened my violin case in two years; part of me doesn’t even want to know what condition that poor instrument is in. But there comes a time when a decision must be made, and for me that time is know. Another school year is passed, summer break is starting, and I’ll have a few hours each day that I could – if I so choose – devote to getting back in musical shape. I will go home and open my violin case. I will try to play something at least five times a week for the next three months. I will appreciate the music more the second time around. Author’s Note: I opened the case and the violin is fine. The bow, however, will need to be either restrung or replaced. Until that is done, resolution no. 3 will have to wait. In this installment, I cover the top three misconceptions as we enter exam week. Orville Redenbacher was an American businessman best known for shilling popcorn. He was born in 1905 and died in 1995 when he suffered a heart attack and drowned in his jacuzzi. Eddie Rickenbacker was a WWI flying ace with 26 confirmed kills. He was born in 1890 and died in 1973 due to complications from a stroke. The Berlin Wall was constructed in August 1961 by the DDR to prevent mass defection from the Eastern Germany during the Cold War. It stood until November 1989, when it was destroyed by both the people and governments of East and West Berlin. The Great Wall of China is actually a series of smaller walls that have been built, rebuilt, and joined together over the centuries. 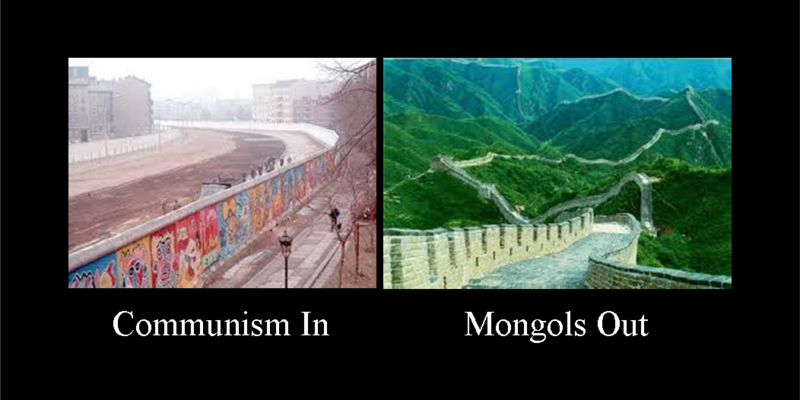 Originally designed to keep foreign invaders out of China, specifically the Mongols. Purportedly, the Great Wall is the only man-made object that can be seen from space. The Stock Market is a system of exchanges for publicly trading stock, a unit of ownership in a business. 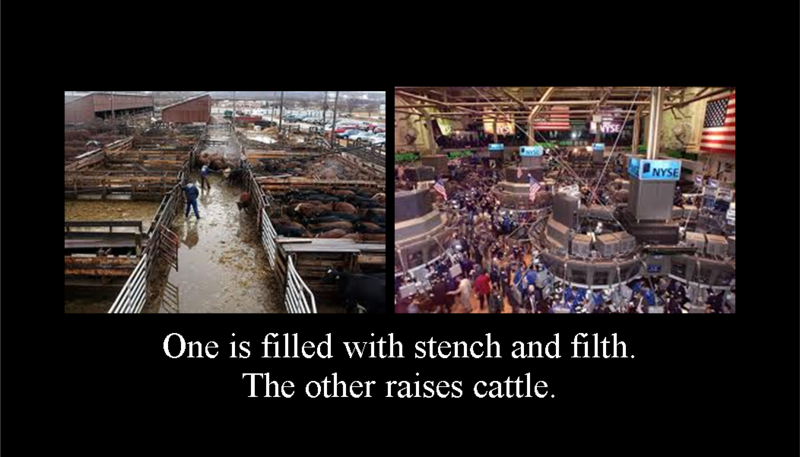 Stock Yards are factory farms that raise cattle for their meat, normally beef. Until next time, remember: knowledge is power.